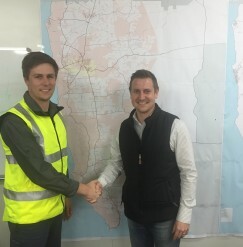 Quality Traffic Management Pty Ltd, trading as QTM Traffic Management (QTM), has been awarded the Shire of Augusta Margaret River’s traffic management contract for the next three years, with an option to extend for a further two years. Amongst eight of its competitors, QTM stood out as frontrunner based on its commitment to opening a new office within the Shire, recruiting locally and utilising existing local businesses for support operations. This contract means QTM will be expanding its operations in the southwest with a new office opening shortly in Margaret River. Managing Director of QTM, Greg Bendall, said that being awarded the traffic management contract for the Shire of Augusta Margaret River was a great win for the Western Australian company. “We’re delighted to be expanding our operations to the southwest of WA and ensuring that we play our role in the local economy by hiring local staff and working with businesses within the Shire to deliver quality traffic management”, he said. The Shire of Augusta Margaret River’s Director of Infrastructure Services, Johan Louw, said the Shire was looking forward to welcoming a new company to the local area. “QTM’s operations in Margaret River will foster local economic prosperity by developing local supply chains that will support local business development,” he said. QTM will open its new offices and commence operations in the southwest in the coming month. As part of their expansion, QTM is offering all contractors within the Shire of Augusta Margaret River the same competitive traffic management rates that the Shire receives, until 31 December 2016. Contractors just need to call QTM on 1300 557 930 and mention this offer.